Torrential rain has battered several provinces in China, leaving multiple casualties and affecting the lives of tens of thousands of people. An aerial view of residential houses and fields submerged by floodwater caused by torrential rain in Shou'an Town, Pujiang County, Chengdu City, southwest China‘s Sichuan Province, on July 2, 2018. In southwest China's Sichuan Province, at least seven people were killed and another seven injured in flooding and landslides caused by continuous downpours since Sunday. Strong precipitation has hit more than eight cities in western and northeastern Sichuan, causing 64 geological disasters. 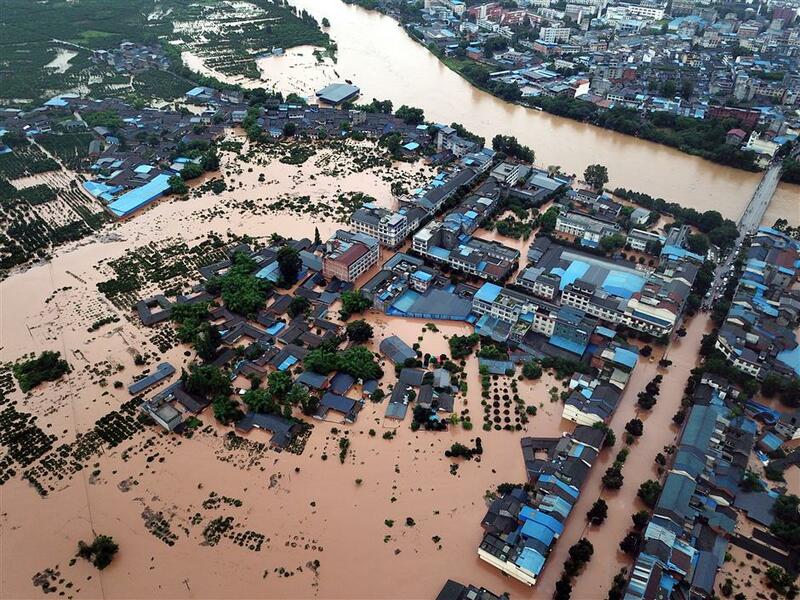 Provincial flood control headquarters said a total of 115,900 people in Sichuan were affected. Crops, roads, bridges and school buildings were damaged, and direct economic losses totaled 159 million yuan (US$24 million). Heavy rains have also forced more than 18,000 people to relocate from unsafe areas in Sichuan. In northwest China's Shaanxi Province, more than 16,600 people have been affected by flooding caused by days of torrential rain, local authorities said Wednesday. As of Tuesday morning, rainstorms since Friday had battered four cities in Shaanxi, forcing the relocation of 290 people. Heavy rain also damaged nearly 1,200 hectares of crops and 460 houses, causing an estimated economic loss of about 35 million yuan. The local meteorological department has issued rainstorm alerts, while the provincial disaster management office has taken measures to deal with the heavy rain.